"And to bring everlasting Righteousness"
It is plain from the accounts we have in Scripture, that the Prophet Daniel was one of these; he is stilled by the angel, not only a "man that was beloved," but a "man that was greatly beloved," or as it is in the margin of your bibles, "he was a man of desires," of large and extensive desires to promote the glory of God; he was a desirable man, a man that did much good in his generation, and therefore his life was much to be desired by those who loved God. The words which I have chosen for the subject of our present meditation, contain part of a revelation made to this man. If you look back to the beginning of this chapter, you will find how the good man was employed, when God was pleased to give him this revelation; verse 2, "In the first year of Darius's reign, I Daniel understood by books the number of the years, whereof the word of the Lord came to Jeremiah the prophet, that he would accomplish seventy years in the desolations of Jerusalem." Daniel was a great man, and withal a good man; great as he was, it seems he was not above reading his Bible; he made the Bible his constant study; for it is the Bible we are to understand by what is here termed books, and elsewhere, the scriptures of truth. He found, that the time for God's people being delivered from the captivity, was now at hand. Well, one would have thought, that therefore Daniel needed not to pray; but this, instead of retarding, quickened him in his prayers: and therefore we are told in the third verse, "I set my face unto the Lord God, to seek by prayer and supplications, with fasting and sackcloth, and ashes." It is beautifully expressed: "he set his face," as though he was resolved never to let his eye go off God, till God was pleased to give him an answer; he was resolved, Jacob-like, to wrestle with the Lord God, until God should be pleased to give him the desired blessing. We are told in the fourth verse, that "he prayed unto the Lord, and made confession," not only of his own sins, but the sins of his people. And when ye retire hence to your houses, before ye go to bed, I would recommend to you the reading of this prayer; every word of it bespeaks his exceeding concern for the public good. It would take me up too much time, was I to make such observations as indeed the prayer deserved; to bring you sooner to the words of the text, let us go forward to the twentieth verse, and there you will find the success that Daniel met with, when praying. Says he, "And whiles I [was] speaking, and praying, and confessing my sin and the sin of my people Israel, and presenting my supplication before the LORD my God for the holy mountain of my God; Yea, whiles I [was] speaking in prayer, even the man Gabriel, whom I had seen in the vision at the beginning, being caused to fly swiftly, touched me about the time of the evening oblation." The manner in which Daniel expressed himself, is very emphatical: "While I was speaking in prayer;" implying, that God suffers us, when we draw near to him by faith in prayer, to lay all our complaints before him; he suffers us to speak unto, and talk with him, as a man talketh with his friend. Daniel at this time too was making confession one part of his prayer; for we are never, never in a better frame to receive answers from above, than when we are humbling ourselves before the Lord. He was not only confessing his own sins, but he was confessing the sins of his people; he was praying for those, who perhaps seldom prayed for themselves; "while I was speaking in prayer, the man Gabriel:" which word, by interpretation, signifies the strength of God; a very proper name, says Bishop Hall, for that angel who was to come and bring the news to the world, of the God of strength, the Lord Jesus Christ. This angel is here represented as flying, and as flying swiftly; to show us how willing, how unspeakably willing those blessed spirits are, to bring good news to men. And it is upon this account, I suppose, that we are taught by our Lord to pray, "that God's will may be done by us on earth, as it is done in heaven," that we may imitate a little of that alacrity and vigor, which angels employ, when they are sent on errands for God. Well, here is not only mention made of the angel's flying swiftly, but there is mention made of the time that he came; "He came and touched me, about the time of the evening oblations," that is, about three o'clock in the afternoon; at this time there was a sacrifice made to God, and this sacrifice was in a peculiar manner a type of the Lord Jesus, who in the evening of the world was to become a sacrifice for sinners. We are told in the 22nd verse, what message this angel delivered, "He informed me, and talked with me, and said, O Daniel, I am now come forth to give thee skill and understanding; at the beginning of thy supplication, the commandment came forth, and I am come to show thee, for thou art greatly beloved, therefore understand the matter, and consider the vision." This passage, with such like passages of scripture, hath often comforted my soul, and may comfort the hearts of all God's people. There are a great many of you, perhaps, have prayed, and prayed again to God, and probably you do not find any answer given you: you pray for an enlarged heart, you pray for comfort, you pray for deliverance; God is pleased to withhold it for a while; then the devil strikes in, and says, God has shut out your prayers, God will never hear, God will never regard you, therefore pray no more. But, my dear friends, this is a mistake; a thousand years are with God as one day; and the Lord Jesus had bid us, "to pray always, and not faint." You may have had your prayers heard, the very moment they went out of your lips, though it may not please your God, (and it may not be proper for you) to let you know that they are heard. "At the beginning of thy supplication, the commandment went forth;" and this very angel some hundred years after, told Zecharias, that his prayer was heard; a prayer for what? A prayer for a child: it could not be supposed that at the very time Zecharias was praying for a child; but his prayer he had put up forty years before, God was pleased to answer so long afterwards. But to proceed with Gabriel's declaration, ver. 24, "Seventy years are determined upon thy people, and upon thy holy city, to finish transgression, to make an end of sins, and to make reconciliation for iniquity, and to bring in everlasting righteousness." I do not intend to trouble you about the critical exposition of these seventy weeks; commentators are divided exceedingly upon this subject; some of them explain them one way, and some another, and perhaps we shall never know till the day of judgment, till the glorious day spoken of in the New Testament, which are right. My intention is to dwell upon this particular part of the angel's message, that some one person was to do something unspeakable for God's people, even "to bring in an everlasting righteousness." It likewise signifies inward holiness, wrought in us by the blessed Spirit of God. But, I believe, the word righteousness in my text signifies, what, I trust most, I should be glad if I could say, all who attend this night, will be glad to hear of: What is that? It is what all reformed divines, that have clear heads and clean hearts, call an imputed righteousness, or the righteousness of the Lord Jesus Christ to be imputed to poor sinners upon their believing: and, if you ask me, what I mean by an imputed righteousness, not to shoot over you heads, but rather, if God shall be pleased to make me, to reach your hearts, I will tell you by the word "righteousness," I understand all that Christ hat done, and all that Christ hath suffered: or, to make use of the term generally made use of by sound divines, "Christ's active, and Christ's passive obedience;" put those two together, and they make up the righteousness of the Lord Jesus Christ. My dear friends, thus stood the case between God and man: at first God made man upright. Moses gives us a short, but never was so full a description of the origin and nature of man given by any other but himself. "In the image of God made he man," says the sacred historian, being inspired by the Spirit of God. God said, and it was done; God commanded, and the world arose before him; "Let there be light," and instantaneously behold light appeared: but when that lovely, that divine, that blessed creature Man, the Lord of the creation, God's vicegerent was to be made; God calls a council, and says, "Let us make man after our own image." Now, this image is to be understood, no doubt, in respect of man's soul; for God being no corporeal substance, man could not be made after his image that way. Well, in this condition God made man. Adam stood as our representative. Adam and Eve had but one name originally, "God made man, and called their name Adam." God left Adam to his own free will; he was pleased to enter into a covenant with him, which, indeed, is an amazing instance of God's condescension. God might have ordered man to do so and so, and not made him any promise of a reward: but the great Creator was pleased to promise him, that if he performed an unsinning obedience, if he abstained from eating a particular tree, that he and his posterity should live forever; but if he broke that command, in the day that he ate thereof, he and all his prosperity were to die. Now, I verily believe, had you and I been there present, however some people may object against God's severity, in imputing Adam's sin to us; yet I believe, if you and I, and all the world had been present, we should have heartily come into this agreement. Supposing God had called the whole creation together, and had said, "Ye, my creatures, I have made here a man after my own image, I have breathed into him the breath of life, I have caused him to become a living soul, I have filled him with righteousness and true holiness; he has not the least propensity to sin, only he is a fallible and mutable creature; all that I desire of this man is, that he abstain from yonder tree; I have given to him all the trees of the garden, I have made him, and planted for him a garden with mine own right hand, I desire he may abstain from plucking yonder fruit! Will ye stand or fall by this man, will ye let him be your representative, will ye be content that his obedience or disobedience be imputed to you?" If we had been all there, every one of us would have said, "Lord God, we will let him be our representative;" the terms were so easy, the improbability of his falling was so exceeding great; that I believe every one of us should have all put our hand to the covenant. And supposing us alive, and that we had agreed to that covenant, who is that man or woman that could find fault with God's imputing Adam's sin to us. Well, my friends, God made man in this condition; the devil envied his happiness; it is supposed by some, that man was made to supply the places of the fallen angels. But the devil envied man, and had leave to tempt him; Eve soon reached out her hand and plucked of the forbidden fruit, and afterwards Adam transgressed also; and from that very moment, to make use of Mr. Beston's words, "Man's name was Ichabod," the glory of the Lord departed from him. Adam and Eve then fell; you, and I, and all their posterity (whom they represented) fell in them. Mankind had but one neck; and God might have served mankind, as Caligula would have served Rome, according to his own words, "I wish it had but one neck, and I would cut it off with one blow." God, if he pleased, might have sent us all to hell. Here Calvin represents God's attributes as struggling one with another; Justice saying to God, seeing Justice had framed the sanction, "Is the law broken, damn the offender, and send him to hell." The mercy of God, his darling attribute, cries out, "Spare him, spare him." The wisdom of God contrives a way, that justice might be satisfied, and yet mercy be triumphant still. How was that? The Lord Jesus interposes, the days-man, the dear Redeemer! He saw God wielding his flaming sword, and his hand taking hold of vengeance; the Lord Jesus Christ saw the sword ready to be sheathed in the blood of the offender; when no eye could pity, when no angel or archangel could rescue, just as God was, as it were, about to give the fatal blow, just as the knife was put to the throat of the offender, the Son of God, the eternal Logos, says, "Father, spare the sinner; let him not die; Father, Father, O hold thy hand, withdraw thy sword, for I come to do thy will; man has broken thy law, and violated thy covenant: I do not deny but man deserves to be damned forever; but, Father, what Adam could not do, it thou wilt prepare me a body, I in the fullness of time will go, and die for him; he has broken thy law, but I will go and keep it, that thy law may be honored; I will give a perfect unsinning obedience to all thy commandments; and that thou mayst justify ungodly creatures, I will not only go down and obey thy law, but I will go down and bleed; I will go down and die: here I am; I will step in between thee and sinners, and be glad to have thy sword sheathed in my heart's blood for them." It is said, in my text, that Jesus was to bring it in. What are we to understand by his bringing it in? Our Lord's promulgating and proclaiming it to the world. Indeed, it was brought in under the law, but then it was brought in under types and shadows, and most of the Jews looked no further. 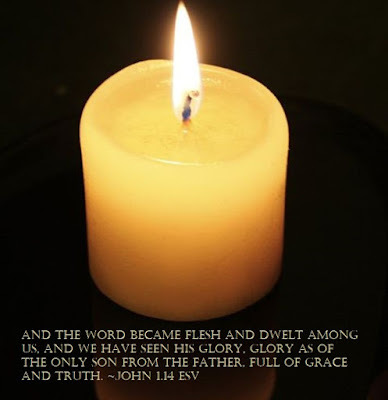 But Jesus Christ brought life and immortality to light by the gospel. The light of Moses was only twilight; the light of the gospel, is like the sun at noon-day, shining in his full meridian. Therefore, Jesus Christ may be said to bring in this everlasting righteousness, because he proclaimed it to the world, and commanded it to be preached, that God sent his Son into the world, that the world through him might be saved. Again, The Lord Jesus Christ brought in this righteousness, as he wrought it out for sinners upon the cross. Some Antinomians, for want of a proper distinction, run into a grievous error, telling us, Because God intended to justify by the righteousness of Jesus Christ, therefore man is justified from all eternity: which is absurd: a person cannot be justified, till he is actually existing; therefore, though man is justified, as it lies in God's mind from all eternity, yet it was not actually brought in till the Lord Jesus Christ pronounced those blessed words, "It is finished;" the grand consummation! Then Jesus brought it in. A new and a living way was to be opened to the Holy of Holies, for poor sinners, by the blood of Christ. But I do not think that the expression, brought in, is to be limited to this sense, though I suppose it is the primary one; it implies not only Christ's bringing it into the world, as promulgating, and having it written in the word of God, and as having wrought it out for sinners in his life, and on the cross; but he brings it in, in a manner, which, I pray God may take place this night; I mean, bringing it, by his blessed Spirit, into poor believers hearts. All that Christ hath done, all that Christ hath suffered, all Christ's active obedience, all Christ's passive obedience, will do us no good, unless by the Spirit of God, it is brought into our souls. As one expresses it, "An unapplied Christ is no Christ at all." To hear of a Christ dying for sinners, will only increase your damnation, will only sink you deeper into hell, unless we have ground to say, by a work of grace wrought in our hearts, that the Lord Jesus hath brought this home to us. Hence it is, that the Apostle, speaking of Christ, says, "Who love me, and gave himself for me." O that dear, that great, that little, but important word, me. Happy they, who can adopt the Apostle's language! Happy they that can apply it to their own heart; and when they hear that Christ has brought in an everlasting righteousness, can say, Blessed be God, it is brought in by the blessed Spirit to my soul! But I must address myself to you, poor souls, who cannot say, that this righteousness has been brought home to your souls; but if it was never brought home before, may God, for the Lord Jesus Christ's sake, bring it home now! Are any of you depending upon a righteousness of your own? Do any of you here, think to save yourselves by your own doings? I say to you, as the Apostle said to one that offered money for a power to confer the gift of the Holy Ghost, your righteousness shall perish with you. Poor miserable creatures! What is there in your tears? What in your prayers? What in your performances, to appease the wrath of an angry God? 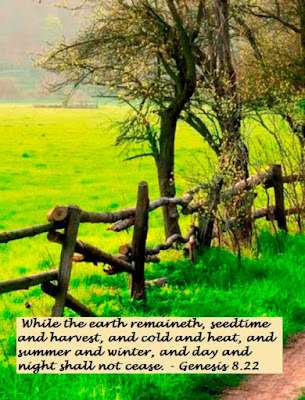 Away from the trees of the garden; come, ye guilty wretches, come as poor, lost, undone, and wretched creatures, and accept of a better righteousness than your own. As I said before, so I tell you again, the righteousness of Jesus Christ is an everlasting righteousness: it is wrought out for the very chief of sinners. Ho, every one that thirsteth, let him come and drink of this water of life freely. Are any of you wounded by sin? Do any of you feel you have no righteousness of your own? Are any of you perishing for hunger? Are any of you afraid ye will perish forever? Come, dear souls, in all your rags; come, thou poor man; come, thou poor, distressed woman; you, who think God will never forgive you, and that your sins are too great to be forgiven; come, thou doubting creature, who art afraid thou wilt never get comfort; arise, take comfort, the Lord Jesus Christ, the Lord of life, the Lord of glory, calls for thee: through his righteousness there is hope for the chief of sinners, for the worst of creatures. What if thou hadst committed all the sins in the world? What if thou hadst committed the sins of a thousand, what if thou hadst committed the sins of a million of worlds? Christ's righteousness will cover, the blood of the Lord Jesus Christ will cleanse, thee from the guilt of them all. O let not one poor soul stand at a distance from the Savior. My dear friends, could my voice hold out, was my strength equal to my will, I would wrestle with you; I would strive with arguments, till you came and washed in this blood of the Lamb; till you came and accepted of this everlasting righteousness. O come, come! 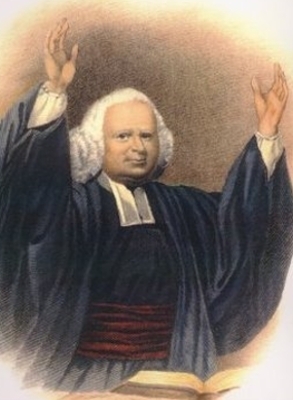 Now, since it is brought into the world by Christ, so in the name, in the strength, and by the assistance of the great God, I bring it now to the pulpit; I now offer this righteousness, this free, this imputed, this everlasting righteousness to all poor sinners that will accept of it. For God's sake accept it this night: you do not know but ye may die before tomorrow. How do he know, but while I am speaking, a fit of the apoplexy may seize, and death arrest you? O my dear friends, where can ye go? Where will ye appear? How will ye stand before an angry God, without the righteousness of the Lord Jesus Christ put upon your souls? Can ye stand in your own rags? Will ye dare to appear before a heart-searching God, without the apparel of your elder brother? If ye do, I know your doom: Christ will frown you into hell: "Depart, depart, ye cursed, into everlasting fire," shall be your portion. Think, I pray you, therefore, on these things; go home, go home, go home, pray over the text, and say, "Lord God, thou hast brought an everlasting righteousness into the world by the Lord Jesus Christ; by the blessed Spirit bring it into my heart!" then, die when ye will, ye are safe; if it be tomorrow, ye shall be immediately translated into the presence of the everlasting God: that will be sweet! Happy they who have got this robe on; happy they that can say, "My God hath loved me, and I shall be loved by him with an everlasting love!" That every one of you may be able to say so, may God grant, for the sake of Jesus Christ, the dear Redeemer; to whom be glory for ever. Amen.